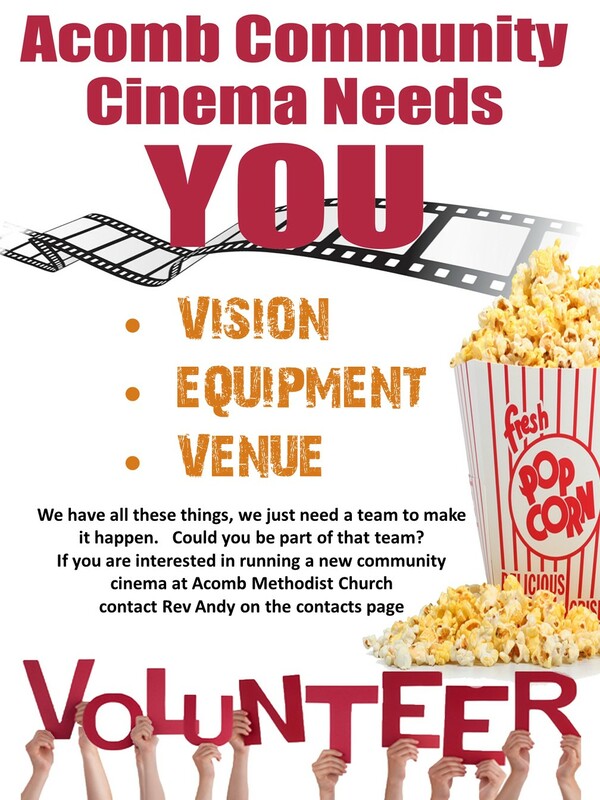 Our survey in 2013 suggested that the people living in our community would warm to the idea of a Community Cinema, running in the church. We have purchased and installed suitable equipment, and are now looking for a small team to make this a reality. A small core team responded to an appeal on the StreetLife website, and we are now expanding our net. If you want to be a part of this new venture, please be in touch. Details below. We showed our first film in January 2016, and over 45 people came along – thank you if you were part of that, it has given us the confidence to continue. Our next film is a comedy, and will take place on Feb 13th 7pm.